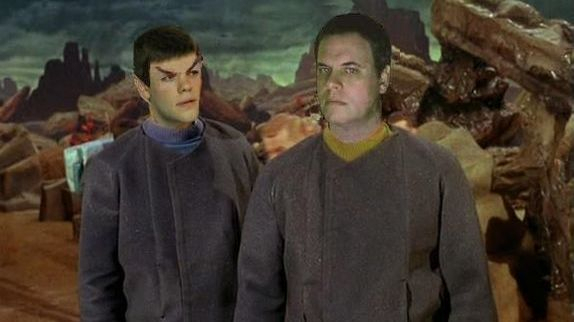 Captain Pike and Lieutenant Spock on the planet Talos IV in 2254. Born Christopher Ryan Pike, October 20, 2214. Pike is the second captain of the USS Enterprise NCC-1701 and the first to be shown in Star Trek canon. The animated Star Trek series reveals that Captain Robert April predated Pike, and printed Star Trek fiction and reference books also identify April as Pike's predecessor. Pike took command of the USS Enterprise in the year 2250, at the age of 36, taking over command from Robert April, who commanded the Enterprise for five years. In 2254, Pike led a landing party to Rigel VII. On this mission, the group was attacked by Kalar warriors, in what seemed to be an abandoned fortress. Three crewmen, including Pike's own yeoman, were killed, while an additional seven, including Spock, were injured, some severely. The loss weighed heavily on Pike; with all the strain and overwork that followed, he began to question his own continuance as starship commander. 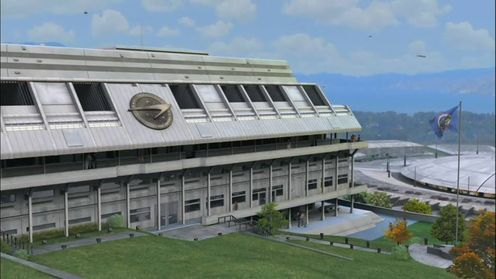 The Enterprise then set out for Vega colony to hospitalize the sick and injured. 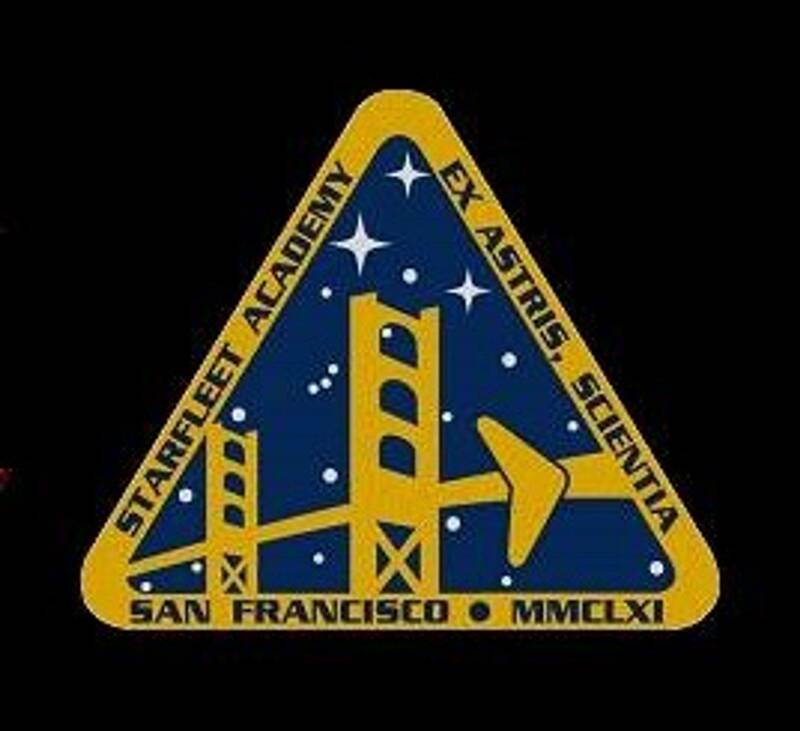 En route to the Vega colony, the Enterprise intercepted an old-style radio-interference distress call carrying the call letters of the SS Columbia, a survey expedition from the American Continent Institute which had been lost in theTalos star group in 2236. At Pike's reluctant command, the Enterprise diverted and traced the signal to a crash site on Talos IV. After an initial encounter with supposed survivors, including an out-of-place young beauty named Vina, it was revealed that the native Talosians had used telepathy to create the illusion of an encampment; all the survivors except Vina were dead. Pike was overpowered and kidnapped, and placed in a Talosian menagerie. There, the Talosians attempted to manipulate him into mating with Vina, to create a population of illusion-controlled Human servants. 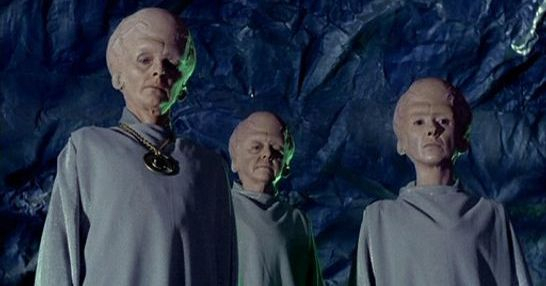 Due to the Talosians' telepathy, Pike was forced to relive old memories and placed in illusory scenarios of lives he could have, if he abandoned his career as a starship captain. The scenarios included reliving the fight on Rigel VII, a picnic in parkland near Mojave with his two horses and an illusory day in the life of an Orion slave-trader dealing in green animal women. Pike refused to mate with Vina, so the Talosians began to take steps to convince him to breed with other females of his crew; to this end, Yeoman J.M. Colt and Pike's first officer, Commander Leigh Hudec aka Number One, were captured. Inside his cell, Pike managed to capture and hold captive The Keeper. Pike then threatened to break the Talosian's neck if he resisted, and all the illusions ceased from that point forward. Escaping with the others to the outside of the Talosian complex, Pike had Number One set a phaser to overload, in an effort to make a statement to the Talosians about holding Humans captive. Indeed, the Talosians believed this violent reaction made Humans unsuitable for breeding. Vina's true appearance was then revealed, and Pike convinced the Talosians to restore her illusion of health and beauty while letting him and his crew members go free. Although the experience with the illusory worlds restored Pike's confidence in his command, it was recommended that all contact with the Talosians' powers be restricted. General Order 7 was enacted, threatening the death penaltyshould anyone travel there, for fear of the Federation falling to illusory indulgence. 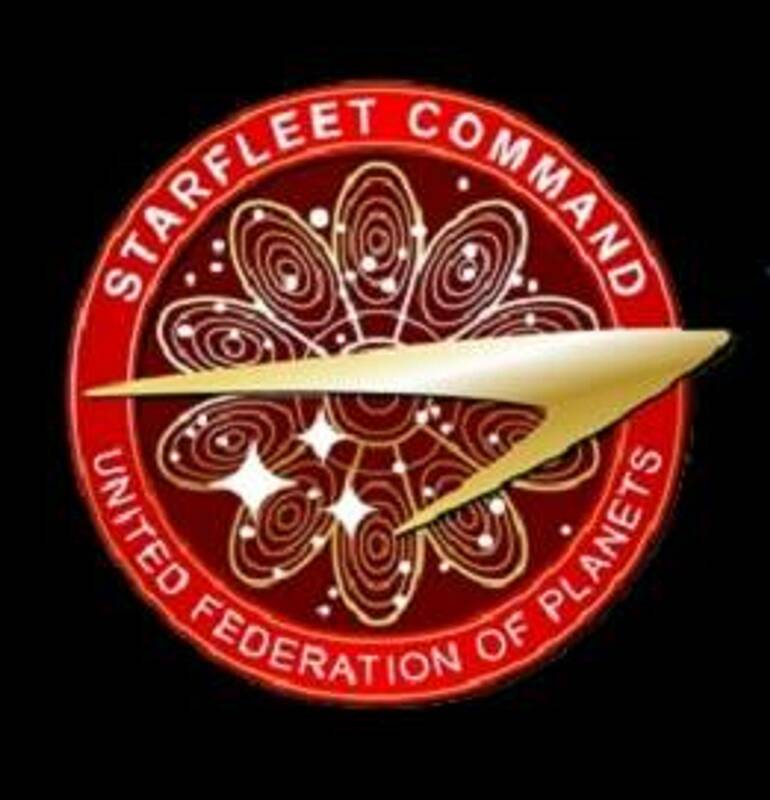 After a long tour as captain of the Enterprise (of which eleven years, four months, and five days of which were spent with junior science officer Lieutenant Spock as a loyal member of his crew) Pike was promoted to Fleet Captain in 2265 and station as Starfleet Command Fleet Operations Headquarters, at which James T. Kirk took command of Enterprise. Only a few years thereafter, Pike was aboard a training vessel, an old Class J starship the USS Republic, when a baffle plate ruptured in engineering and exposed many helpless trainees and cadets to delta-particle radiation. Pike dragged many cadets from the danger but, in the process, was severely affected by the deadly rays. The disfigured Pike was put on a form of advanced life support which sustained his withered body and life functions, but he was too weak and incapacitated to ever move or respond to physical stimuli again. Awheelchair that was tuned to his brain could use blinking light signals to respond to simple queries in the affirmative (one flash) or negative (two flashes), but that was the extent to which he could communicate. On Talos IV, with the help of the Talosians, Pike lived out a life of illusion with Vina, in which his devastating handicap no longer existed. Pike went into retirement from Starfleet active duty and lived on Talos IV permanently, with no further outside contact, since the secrecy of the Talosian power made his fate largely unknown.